House-Museum of Tahir Salahov hosted the meeting with the world-famous national artist. The event was timed to the 90th anniversary of the People’s Artist of the USSR, Vice President of the Russian Academy of Arts, winner of many international awards Tahir Salahov, Trend Life reported. Addressing the event, the director of the House-Museum Saadat Mirzoyeva told about the contribution that the artist made to the development of the visual arts. By tradition, the birthdays of the great artists are widely celebrated in the House-Museum, these events are always attended by his friends, colleagues, and admirers of creativity. Tahir Salahov's house-museum has been operating since 2012. The museum is home to more than 700 exhibits. "Tahir Salahov often visits our museum, he created the whole exposition himself," Mirzoyeva said. The pro-rector of the Azerbaijan State Academy of Arts, national artist Fuad Salayev told that he and Tahir Salahov are good friends. "I can talk about Tahir Salahov for a very long time. Today, the master turns 90 years old - this is a significant event not only in the cultural life of Azerbaijan, but also in Russia, because most of his life he lived and worked in Moscow. Tahir Salahov is undoubtedly a talented person; he is a person of high artistic taste, a person who notices small details that are out of harmony," he said. Honored Art Worker, famous film director Zia Shihlinsky, who made a film about Tahir Salahov spoke about the work on a documentary film. "It’s very honorable to talk about Tahir Salahov, it was very pleasant to talk with this person both in the work on the film and in a relaxed atmosphere," Shihlinsky said. The guests viewed the exhibits of the House-Museum, a concert program was also presented. 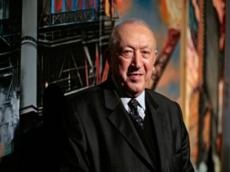 Tahir Salahov, one of the most prominent representatives of the Azerbaijani art, is the vice-president and honorary president of the International Association of Plastic Arts of UNESCO, the vice-president of the Russian Academy of Arts, People's Artist of the USSR, Azerbaijan and Russia, and is the winner of a number of high awards, including the State Prize of the USSR and Azerbaijan. The world-renowned artist, who sensitively catches the rhythms of life and able to listen and hear the time, Salahov is the master of portraits, landscape pictures, still-life paintings and large many-figured paintings. His paintings such as "Oilmen", "Portrait of Gara Garayev", "Woman of Absheron" and "Aydan" have become the most beloved works. The artist currently lives in Moscow, where he is a professor at the Moscow Art Institute.